The rear-wheel-drive CT6: Cadillac takes aim at the Germans. The 2016 CT6 is Cadillac’s answer to the large, rear-wheel-drive luxury sedans from Germany that have dominated the small and fading segment for years. Some American entries have failed to compete in the segment, but Cadillac promises it has done its homework with the CT6. Here’s what some critics and others are saying about the sedan that debuted last week at the New York auto show. 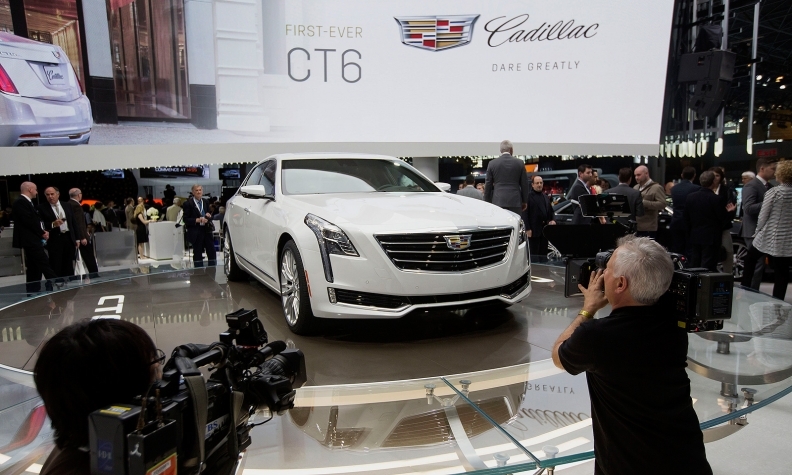 "Some analysts and critics will question why the first new Cadillac since [Johan] de Nysschen took the reins last September is a large sedan when most of the luxury market growth is coming in the segments of small and midsize cars and crossover vehicles. 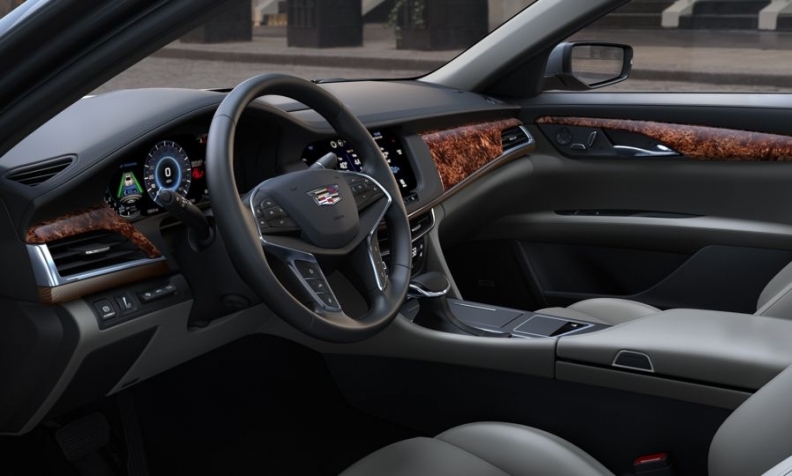 But the CT6 is meant to make a statement that Cadillac is raising the bar for itself. In the U.S., de Nysschen will be judged as much by the critical reaction to this car, as by sales after it rolls into showrooms early next year." "The Cadillac CT6 is not a radical departure from the other cars in its lineup, and that’s a good thing. With sharp edges and well-defined lines, the CT6 looks massive and intimidating, belying the performance that Cadillac says lies underneath. The front says “get out of my way!”, while the inside looks exquisite, with a luxurious and contemporary look that matches the exterior. The car is gorgeous inside and out." "If the CT6 is close to Cadillac's 3,700-pound claim, then the newly patriated lower Manhattan brand has what the boys and gals from biz school call a unique selling proposition." "Agility is achieved via the big sedan's three engine options. Base models will get a 2.0-liter turbo four making 265 hp, upgraded models get the 335-hp 3.6-liter V6 and top models come with the new 3.0-liter twin-turbo V6. That engine, shared with the CTS V-sport, will deliver 400 hp. All are paired with eight-speed automatic transmissions. Add optional Magnetic Ride Control and the Active Chassis System with rear steering and all-wheel drive to the equation, and we could be looking at a potent performer." Cadillac's challenge is to be incomparable. Escalade is.